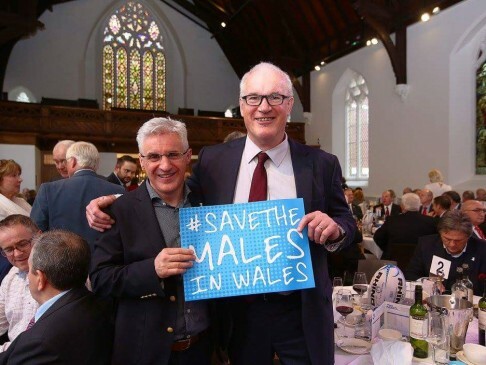 Eddie is a famous former Welsh Rugby captain and renowned broadcaster. His voice is familiar to the nation and his rugby achievements legendary. He is one of very few Cambridge Blues that represented the University in three consecutive Varsity matches between 1976 – 1978. A native of Monmouthshire, Eddie is probably the “poshest” member of the famous and notorious Pontypool team of the 1980’s and yet integrated seamlessly with the likes of David Bishop and the Pontypool front row as he led them to many famous triumphs. Eddie is with us today as an ambassador of Prostate Cymru and still puts his body on the line in support of this fantastic Welsh charity having climbed five volcanoes in Ecuador as part of Operation Robot. Andy is a force of nature as his work with Prostate Cymru testifies. He is one of Wales’ leading Consultants and for over 21 years has helped many through his work as a Consultant Urologist and is now senior partner of Glamorgan Urology. Andy is the Founder Trustee and Chairman of Prostate Cymru and through relentless high profile fundraising and PR has brought to the attention of thousands in Wales and beyond the importance to men of a “certain age” the seriousness of a silent but potentially deadly illness as well as the relative simplicity of getting “checked out” regularly.